A year ago this week, I was listening to a radio programme which made such an impression on me that my thoughts have returned to it many times since. 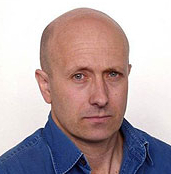 It was a 30-minute essay by the BBC reporter, Alan Johnston, in which he described his experience of being kidnapped and held hostage in Gaza. He’d been seized by Palestinian militants in March 2007, and held for nearly four months. As a BBC employee at the time, and a former journalist, I’d naturally taken a great interest in his story and shared the relief and joy that coursed through the organisation when he was released. I didn’t know Alan Johnston personally, but recognised the integrity and courage of his journalism. In describing his ordeal, he showed characteristic decency as his narrative combined understanding of his tormentors with great insight into his personal condition. “Of course, at first glance, there was not much to take heart from in my situation. But the fact was that I had not been killed, and I was not being beaten around. I was being fed reasonably, and I decided that my conditions could have been much, much worse. Whatever else it was, my Gazan incarceration was not what Iraqi prisoners had been forced to endure at Abu Ghraib jail. It was not the Russian Gulag, and it certainly was not the Nazi death camps. I felt that I would not be able to pick up a book again about the Holocaust without feeling a sense of shame, if I were somehow to break down mentally under the very, very, very much easier circumstances of my captivity. “Suffering is an ineradicable part of life, even as fate and death. Without suffering and death human life cannot be complete. Alan Johnston’s account goes on to draw on another great examplar of survival: the explorer, Edward Shackleton, who led a doomed expedition to the Antarctic but brought home every one of his crew against formidable odds. “In its search for inspiration, my mind took me down what may sound to you like some rather strange paths. But for me, as impressive as any story of endurance, is that of the explorer, Ernest Shackleton. After his ship was crushed by the Antarctic ice nearly a century ago, he took a tiny lifeboat and set out across the great wastes of the stormy Southern Ocean. He aimed for an almost unimaginably small island far beyond his horizon, and eventually he reached it. And in my prison, I felt that I needed some kind of mental lifeboat, to help me cross the great ocean of time that lay before me, aiming for that almost unimaginable moment far beyond my horizon when I might somehow go free. And so I took all the positive thoughts I could muster and lashed them together in my mind, like planks in a psychological raft that I hoped would buoy me up. And in some ways it did. It was one of several mental devices, or tricks, or props that helped me get through. Alan Johnston’s From Our Own Correspondent broadcast is still available to hear on the BBC website. A transcript is also available. Kidnapped and Other Dispatches by Alan Johnston is available from Amazon .